On Wedn Oct 24th Our Ladys hosted our bi-annual Open Night for parents and in-coming students! 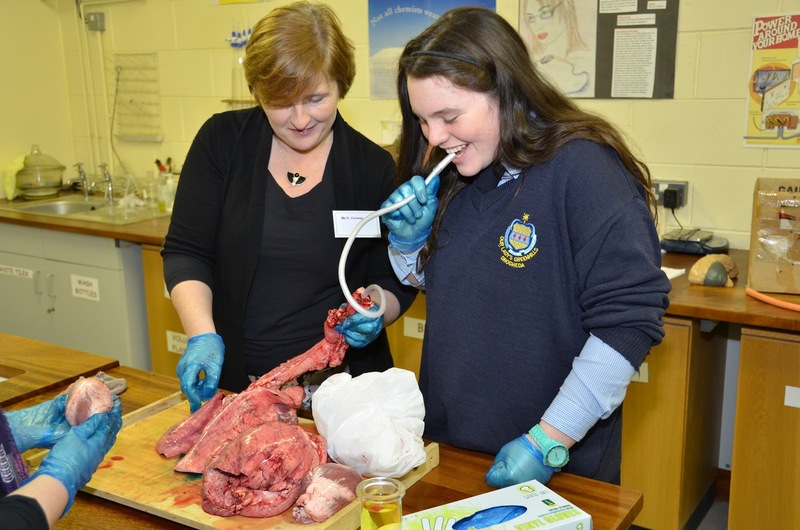 Miss Conway and Saibh Gordon dissecting a sheep! !...Is that a heart I see before me? Gross! 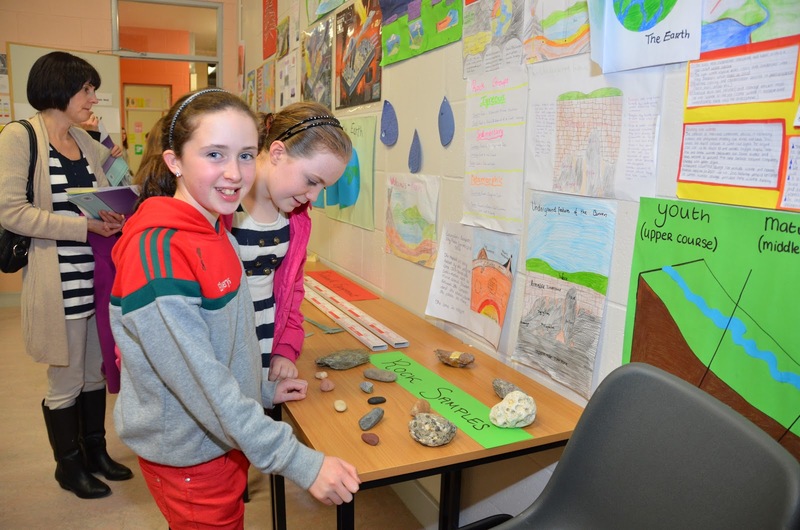 Our Lady’s College hosted a very succesful Open Night on the 24th Oct last. The school was looking resplendent on the night as each subject department put their best foot forward to welcome the parents and students who will be joining us in the coming years. 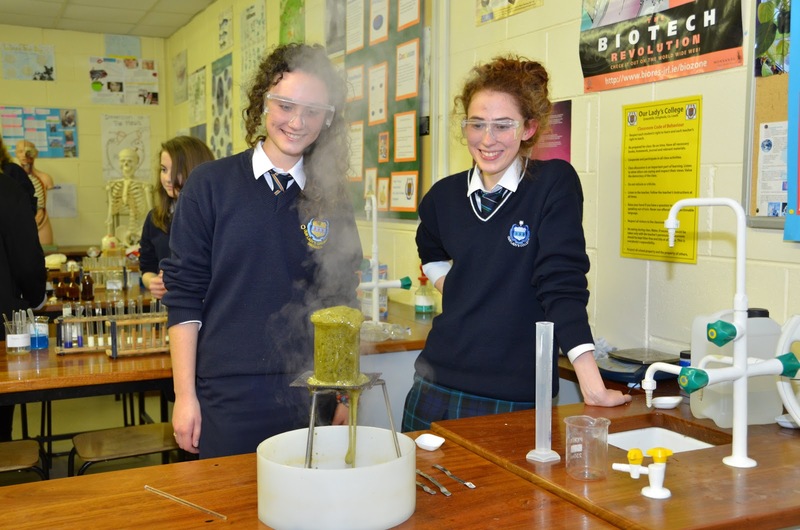 Ruth McGuinness and Siofra Herrity experimenting with green slime! Thank God they don't do Home Ec!! It was a busy night with visitors from all over our catchment area and beyond enjoying the many displays set up by subject teachers and their students. The science labs were particularly busy with their various experiments, of which dissecting a sheep’s heart and entrails was the most gruesome! As usual Home Economics put on a wonderful display with ‘Autumn Harvest’ as the theme. Visitors were also treated to performances by the TY Music and Drama as well as projects and debating by students of English, Irish and Modern Languages. The History Department went to a lot of trouble with their state-of-the-art displays as did Geography and Maths. Students and parents admiring the displays in the new wing! Incoming students and their parents were very impressed with the range and scope of subjects on display and were particularly taken by the enthusiasm and competence of the students who offered to help on the night. The occasion proved to be very successful with incoming students getting a flavour of the educational approach and ethos of Our Lady’s College. It was a great success and every subject department worked hard to make a lasting impression! well done to all! !